The ancient ones are upon us. C’thun, Yogg-Saron and the rest of their Old God buddies have infested Hearthstone, and with the release of their expansion: Whispers of The Old Gods, are bringing some big changes to the game. It’s easily the most significant update to the game since launch, and both new and old players alike will have to familiarize themselves to what’s new. Let’s have a look at what the arrival of the Old Gods mean for the game. 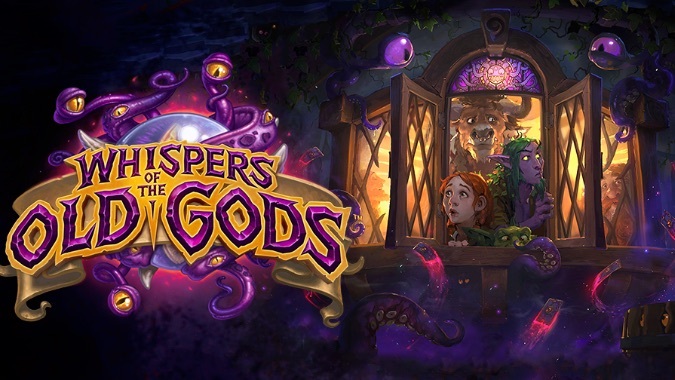 First and most significantly, when Whispers of The Old Gods launches on April 26, it will kick off the “Year of The Kraken”, splitting Hearthstone into two distinct formats of play: Wild and Standard. Wild will essentially be “classic” Hearthstone, allowing players to make decks from all cards that have ever been released for the game. Standard, on the other hand, will restrict players to making decks only out of cards that have been released in the last year, as well as the base and classic sets. In the case of this year - The Year of The Kraken - only cards from Blackrock Mountain, The Grand Tournament, League of Explorers and Whispers of The Old Gods will be legal. Both formats will have access to the ranked, casual and practice game modes, while The Arena will only be available in the Wild format. Additionally, “retired” cards - in this case cards from Naxxramas and Goblins vs. Gnomes, will no longer become purchasable with money. The only way to obtain them will be to craft them with arcane dust. 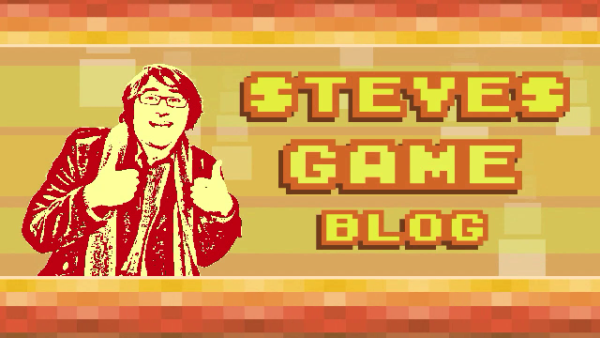 “Yes Steven, we understand, new formats, now hurry up and get to the new bloody cards!” I hear you screech. Hold on a minute! Before we look at the new cards, we have to check out the nerfs. Whispers of The Old Gods introduces more nerfs to old cards than the total number of nerfs the game has received since launch. Wowza! A whopping twelve cards from the classic and basic sets have been nerfed, including old staples like Ironbeak Owl, Big Game Hunter and Mountain Giang, as well as some class specific cards like Force of Nature and Hunter's mark. A lot of these nerfs were to cards that limited future design space, and indeed, quite a few of Whispers of The Old Gods coolest cards couldn’t exist with these cards in their current state! Check out the official website for more info on the nerfs. As a note, when the nerfs go live, you’ll be able to disenchant all of the affected cards for their full dust value. I highly recommend doing this if you aren’t going to immediately use the cards, as you’ll always be able to craft them back if you need them! Right, moving on. Easily, the most interesting cards of WotoG are the Old Gods themselves. Each has a very unique effect, are supplemented by supporting minions, and have a very specific deck archetype in mind. C’thun for example, is built around his “followers”, who will buff up his stats whether he is in your hand, your deck, or even in play. 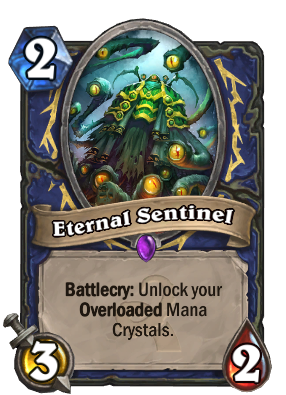 A lot of these minions are “understatted”, meaning that C’thun decks will be very slow decks that sacrifice their early game in exchange for unleashing a devastating C’thun finisher. He is sure to be a favourite for control priests and warriors! Each of the four old gods has a very unique effect. Y’shaarjis much more of a general use type Old God, and is the kind of card that can be put into control heavy decks without having to worry about being supplemented too much. He brings out a minion every turn he is in play, and has a devastating attack, making him a big-bodied threat in the same vein as Ysera. Finally, N’zoth, rather than creating something completely new, simply supplements the “deathrattle” playstyle. 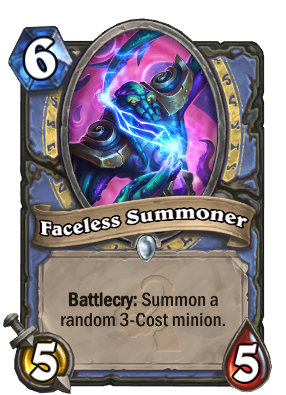 Even with only a handful of powerful deathrattle minions, like Sylvanas and Tirion Fordring, he has considerable value. The general theme of this expansion is slow. While prior expansions have favored fast, “rush” or “aggro” style decks, the Old Gods are clearly about biding your time to build up a massive, killer finisher. 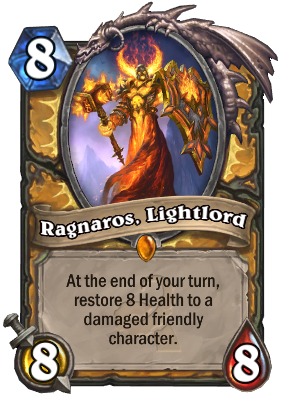 Many of the neutral and class legendaries, like Deathwing, Dragonlord, Malkorok and Cho’gallalso support control-heavy playstyles. Hunter in particular, which has always been a very aggro-oriented class, has been given quite a few tools to make a sort of control deathrattle N’zoth hunter viable, like Forlorn Stalker and Infest. 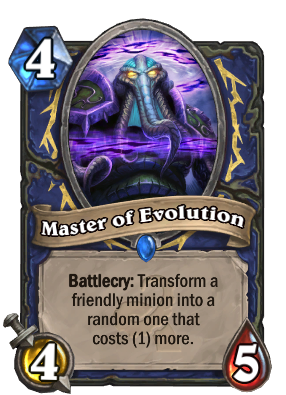 In terms of the overall “winner” of the expansion, I’m gonna have to go with Shaman, Only two cards with “overload” were introduced, and they are actually quite sensibly statted. They were given an overload unlock alternative to Lava Shock with Eternal Sentinel and Hallazeal The Ascended will make lightning storming a full board also give you a considerable heal. Finally an "underload" alternative to Lava Shock! 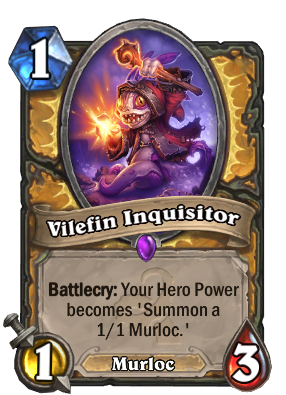 Warrior also got some super interesting cards like Blood Warriors and Blood to Ichor, while the Paladin’s Vilefin Inquisitor makes an all-murloc deck somewhat viable. Druid’s legendary, Fandral Staghelm makes the nerfs to Ancient of Lore and Keeper of The Grove make sense, and is an incredibly powerful card. 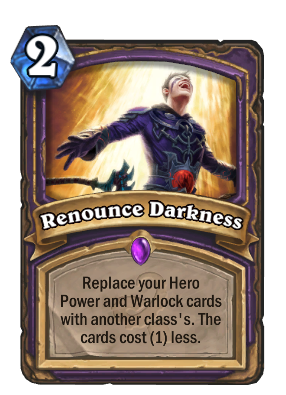 Even Mage got some crazy good cards like Faceless Summoner, and Warlock got the hilarious “Warlock is too hard, let me play another class”-card: Renounce Darkness. The two classes that got the shaft were Rogue and Priest. Both of these classes lost a lot of their most powerful tools with the expansion, either in the change to standard format (Velen’s Chosen and Lightbomb for Priest) or the base and classic card nerfs (Blade Flurry for Rogue), and neither were given what they need to compensate. I predict that these two will be the weakest classes in the upcoming new meta, while Mage, Shaman, and Warrior should take the top spots. 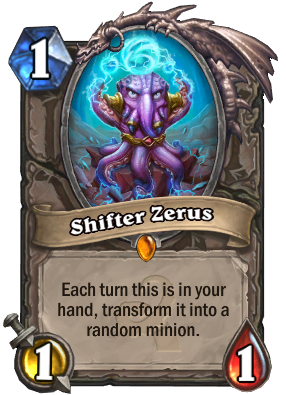 As for the expansion’s neutral cards, there are way too many to list here, but they include a lot of interesting ideas, such as Blood of The Ancient One - a kind of win condition in of itself, Shifter Zerus - Unstable Portal: the minion, and Eater of Secrets- a hard counter to those pesky secret Paladins! 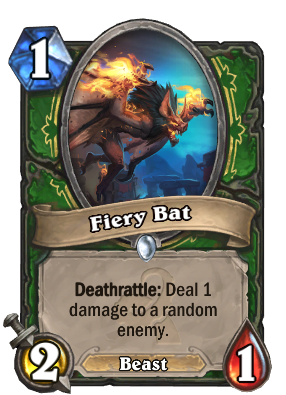 The folks over at Hearthpwn have put together a full list of all the new cards if you want the full rundown. Whispers of The Old Gods is probably the most interesting thing to ever happen to Hearthstone, and will hopefully be the jolt the game needs to kickstart its rather stale competitive meta. I’m excited, and you should be too! Thanks for reading guys! I would really appreciate if you could, share, Tweet, reddit or just get this article out there to as many folks as possible; I want people to know that even though I don't work at The Escapist anymore, I'm still honing my craft, and willing to put out freelance articles to wherever is needed.